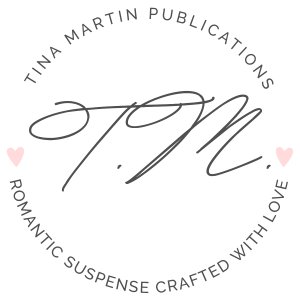 Tina Martin is the award-winning, #1 Amazon Bestselling author of over 60 romantic suspense titles including novels, novellas and a few short stories. She founded Tina Martin Publications in 2014 and self-publishes her own books. She’s been writing since 2007. She published her first novel, Secrets On Lake Drive, in July 2010. After the book was published came a few other standalone novels, then she got into writing series: The Accidental Series, The Champion Brothers Series, Dying To Love Her Series, Mine By Default Mini-Series, A Lennox in Love Series, The Blackstone Family Series and The Marriage Chronicles. In 2017, her novel, Baked With Love, from a new series – The Boardwalk Bakery Romance Series – won Book of the Year. Following The Boardwalk Bakery Series came a spinoff series of St. Claire novels – Royal, Ramsey, Romulus and Regal. In 2019, the series expanded to a new set of characters, the next book titled, Magnus, published in January 2019. In her work, she likes to craft real-life issues with the primary focus on romance and suspense. Additionally, she likes to push the limits of fiction to create the not-so-typical stories. She likes storylines ranging from finding love unexpectedly, discovering love even while in the face of adversity and alpha male heroes who don’t let anything stand in the way of their true love. When she's not writing, Tina loves traveling, being outdoors, gardening and since she’s been training for a half marathon, she took up a new hobby – running. She resides in Charlotte, North Carolina. She released her newest novel, Candy's Corporate Crush on February 25, 2019 and Spring Break: A Spring Novelette on April 1, 2019. If you would like to schedule Tina at your next book club meeting or literary event, click here.